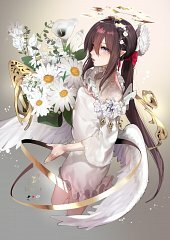 785 anime images in gallery. 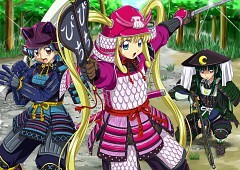 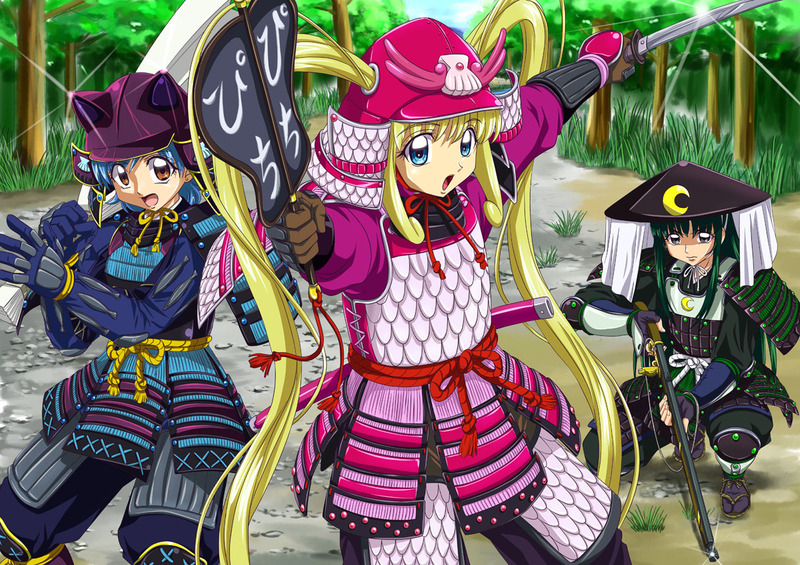 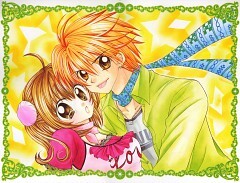 Tagged under Manga, Series, Hanamori Pink and Nakayoshi. 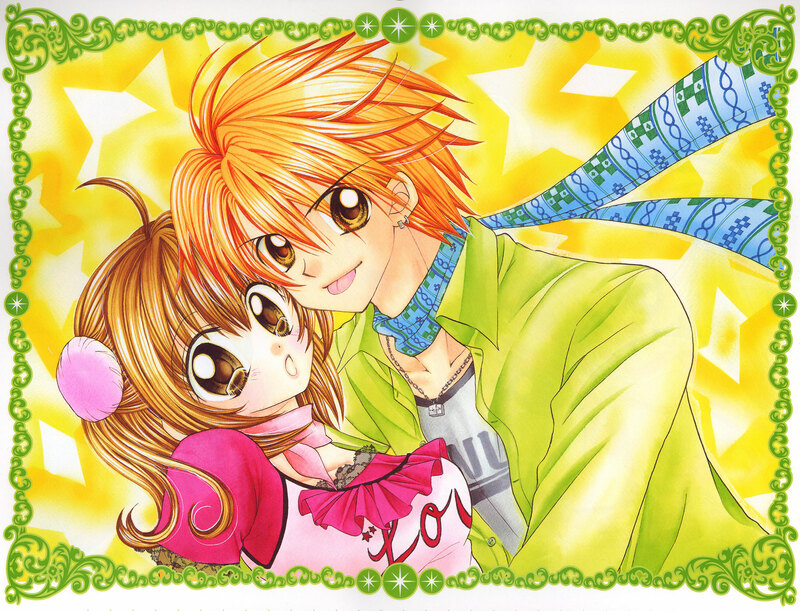 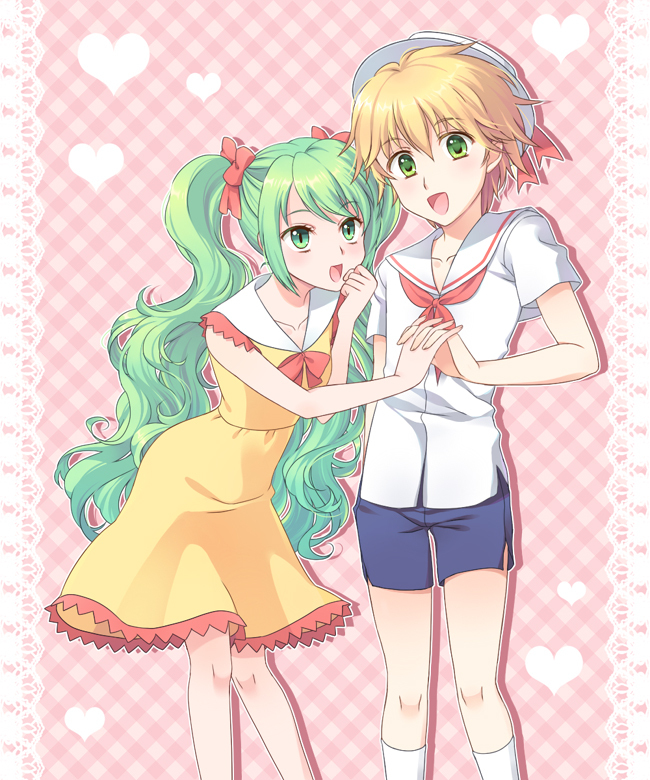 Mermaid Melody Pichi Pichi Pitch is a manga created by Michiko Yokote featuring illustrations by Pink Hanamori. 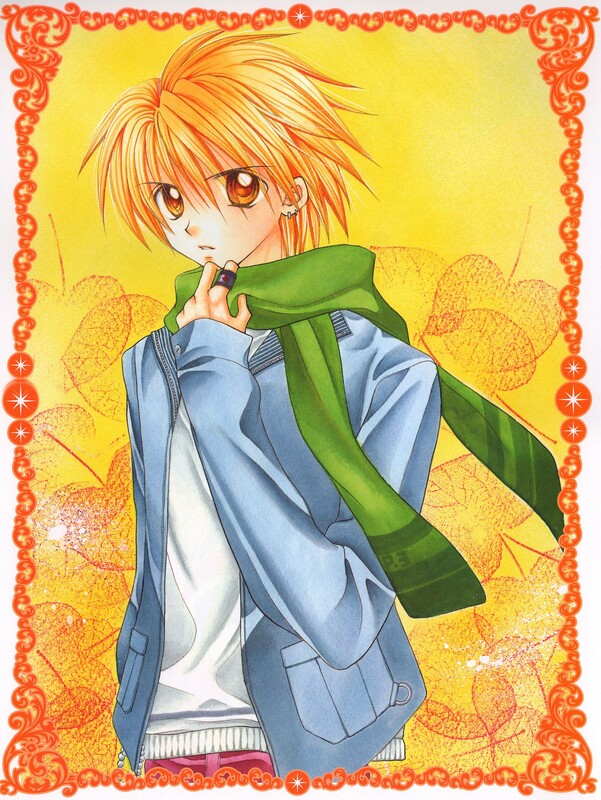 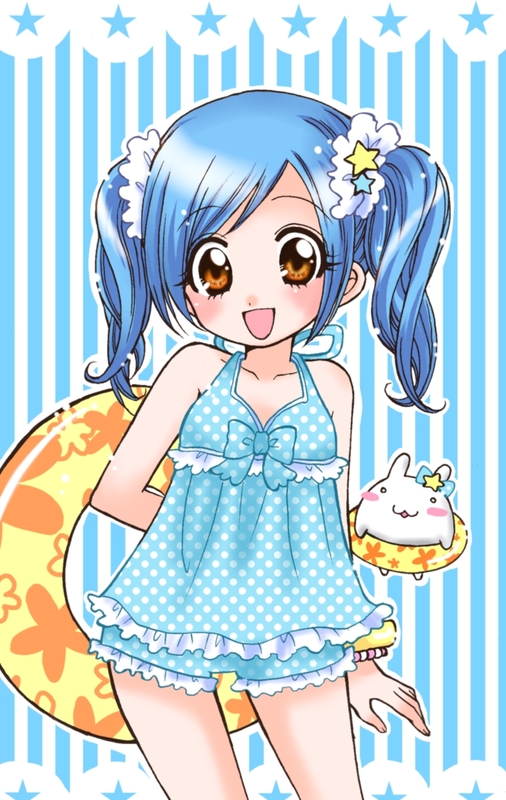 It was published in Nakayoshi magazine by Kodansha starting August 2002 and ended March 2005. An anime adaptation was created by Actas and Synergy Japan, written by Junki Takegami, directed by Yoshitaka Fujimoto and aired starting April 5, 2003 and ended March 27, 2004 on TV Aichi. 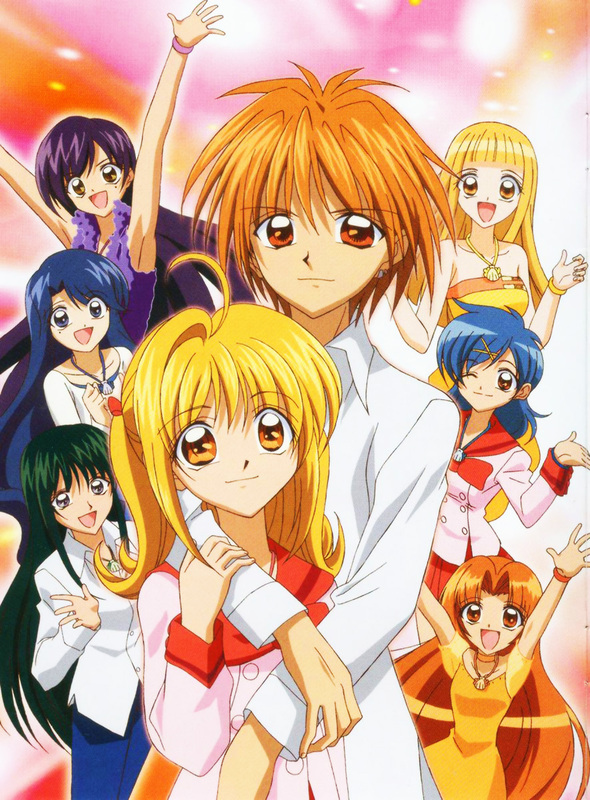 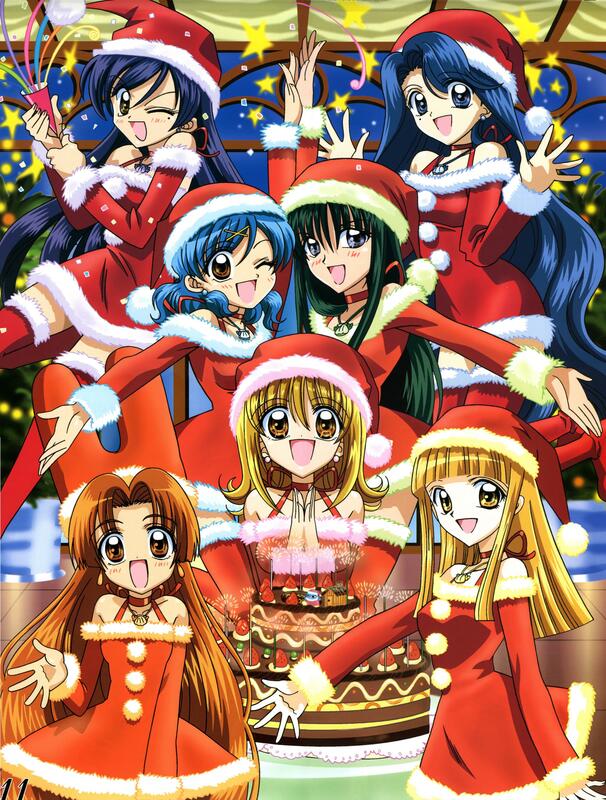 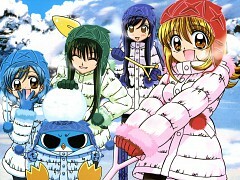 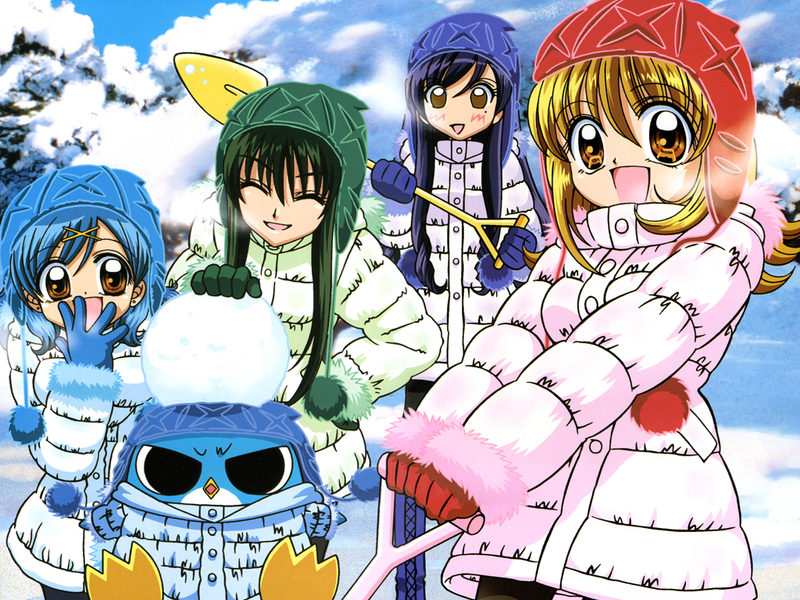 Mermaid Melody Pichi Pichi Pitch Pure ran from April 3, 2004 and ended December 25, 2004. Nanami Lucia, a mermaid princess, saves a boy from a tsunami whom she fell for and gave her pink pearl. Seven years later, she takes human form travels on land to find him. 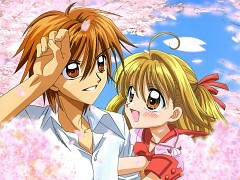 Eventually, she meets a surfer boy, Doumoto Kaito, who unfortunately doesn’t recognize her. She can’t tell her about her identity or else she’ll turn into foam so she tries to hint about her identity instead. 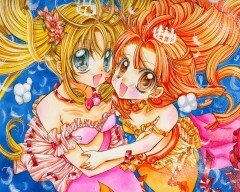 During her journey, Lucia discovers that the sea world has been invaded by water demons and she must bring six mermaid princesses and their precious pearls to summon the goddess, Aqua Regina, to defeat them. 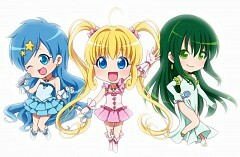 She teams up with mermaid princesses, Houshou Hanon and Touin Rina, who also make it to dry land. 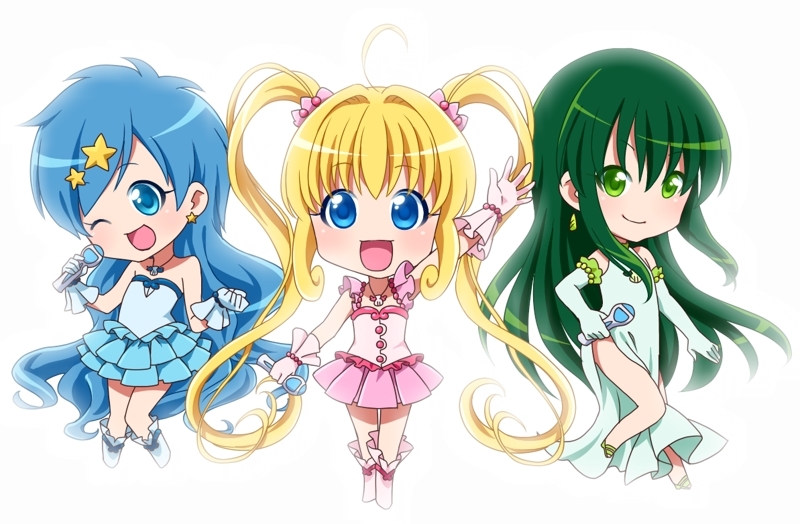 The three of them make a teen idol group and use their magical voices to fight the water demons. 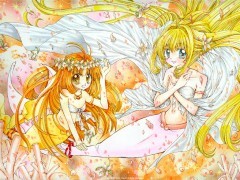 Nanami Lucia – Lucia is the North Pacific Ocean’s princess mermaid princess and holds the pink pearl. 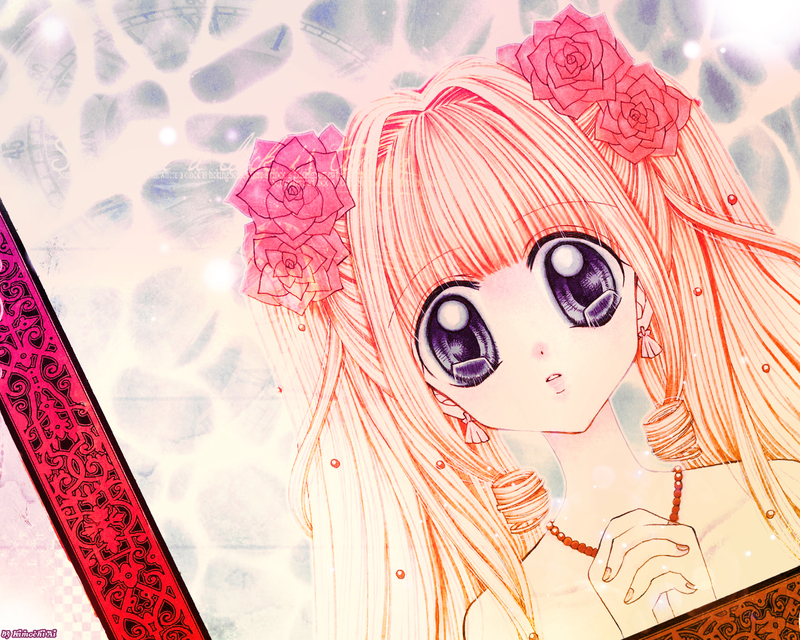 She gave the pink pearl to a boy, Kaito, after she saved him from a tsunami. 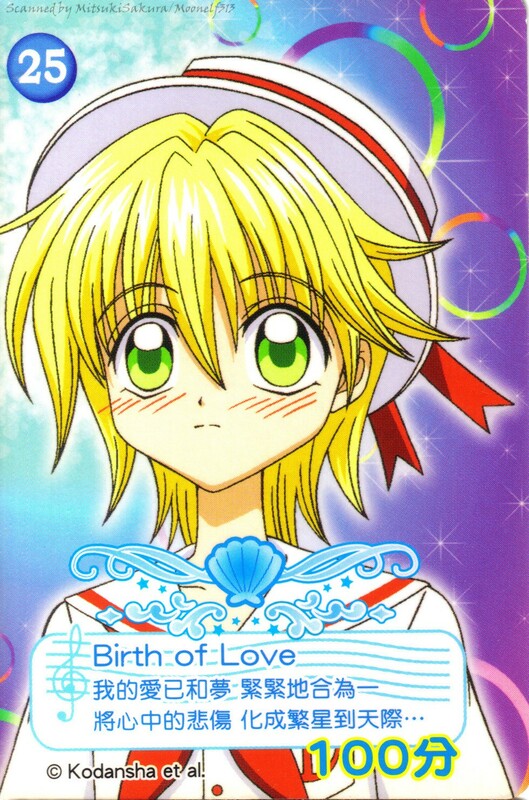 Seven years later, she takes human form to find Kaito where they become lovers. 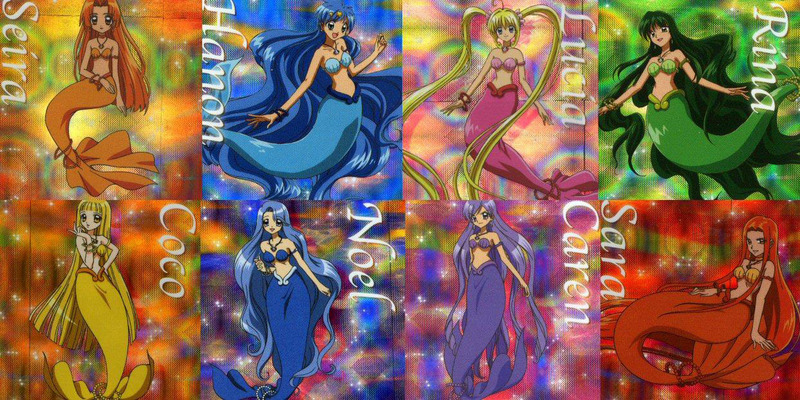 She then teams up with other mermaid princesses to form a teen idol group and use their voices to thwart the water demons. 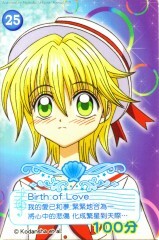 Doumoto Kaito – Kaito is a son of musicians who surfs during his free time. 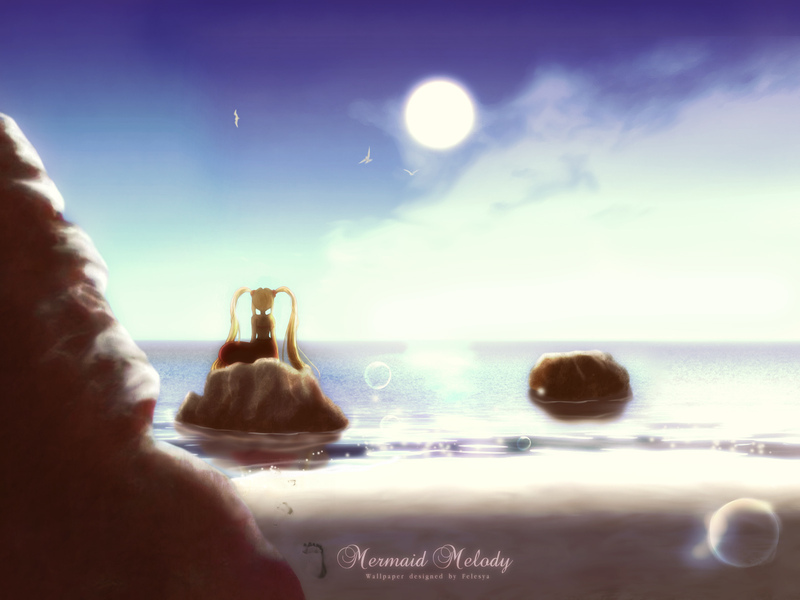 During a tsunami, he is saved by a mermaid and is given a pink pearl which he wears as a necklace. 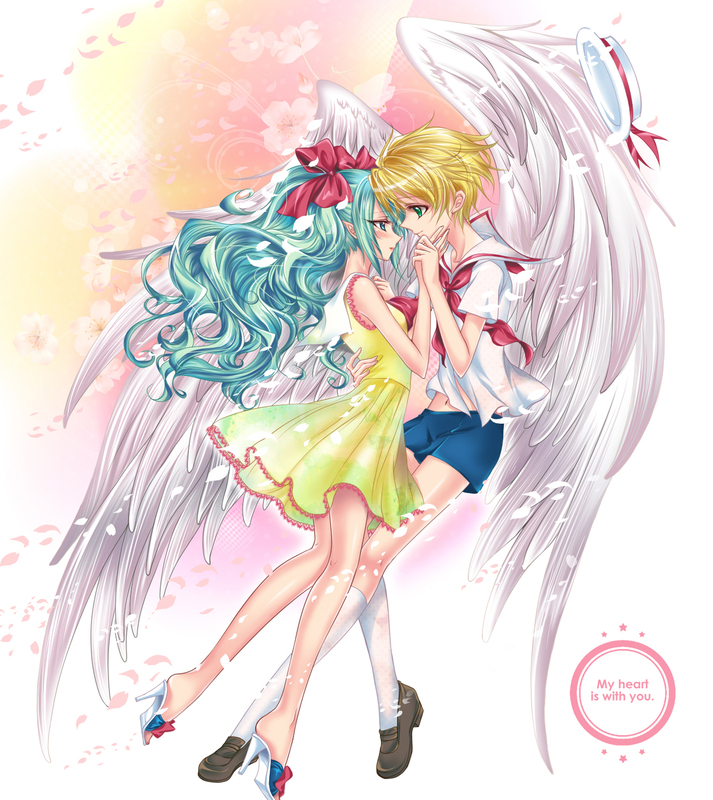 Seven years later, he gets in a relationship with Lucia but is still in love with the mermaid that saved him. 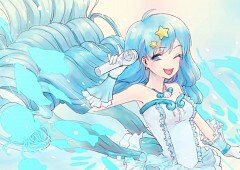 Houshou Hanon – Hanon is the South Atlantic Ocean’s mermaid princess and holds the aqua pearl. She may be best friends with Lucia but she argues with her quite a lot. 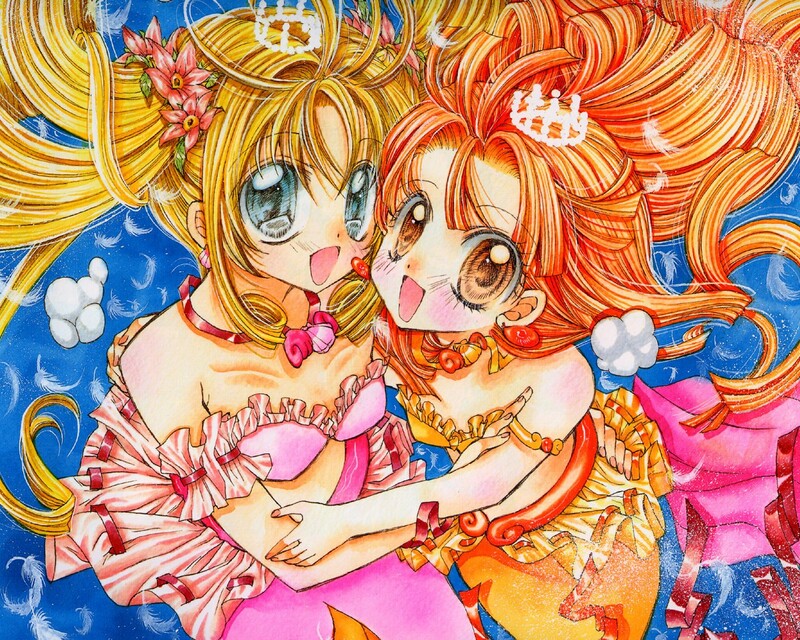 She goes to land to get away from the water demons and joins Lucia to make a teen idol group. 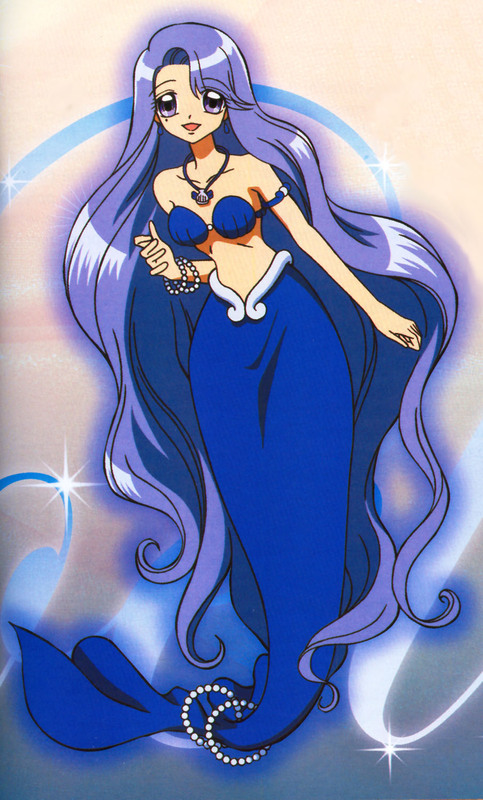 Touin Rina – Rina is the North Atlantic Ocean’s mermaid princess and holds the green pearl. 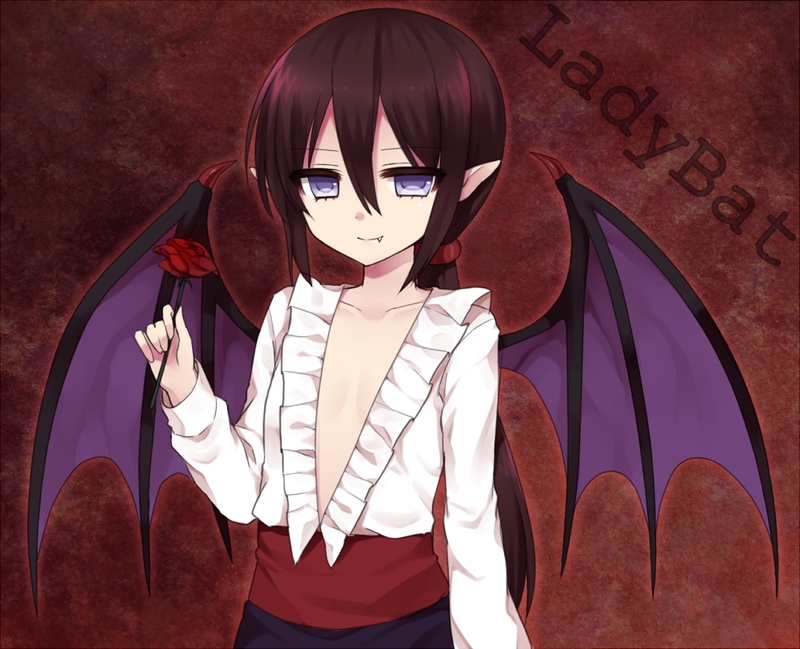 In human form, she attends school wearing a male school uniform. 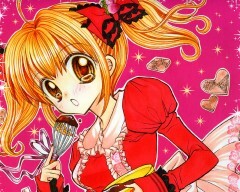 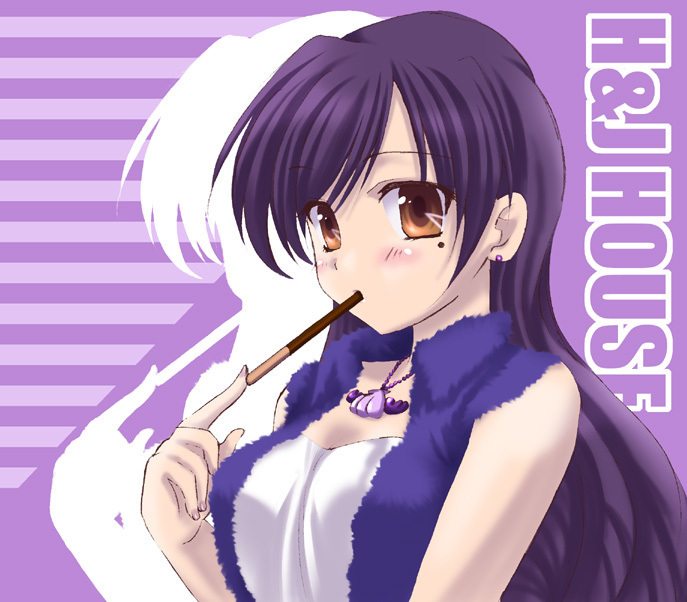 She acts as the more mature member of the trio acting as Hanon and Lucia’s older sister.